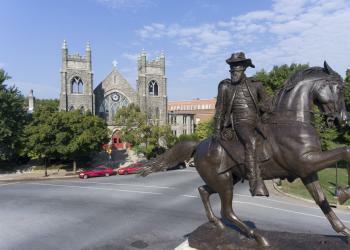 Charlottesville, colloquially known as C'ville and officially named the City of Charlottesville, is an independent city in the Commonwealth of Virginia. It is the county seat of Albemarle County, which surrounds the city, though the two are separate legal entities. This means a resident will list Charlottesville as both their county and city on official paperwork. Latest news and discussion about events in Charlottesville, Va.
Has racial hatred gotten worse? Yes, and let's examine the facts. Hoot and Holler presents an evening of stories at The Front Porch Lee Hunsaker wants to hear your story; that's why she started Hoot and Holler “Hoot and Holler is Roanoke's only live storytelling event where we publish a theme and then invite anyone and everyone to submit story pitches on that theme.” And, since the sessions began over two years ago, she has heard many stories. “We are now at the point of selling out our venues and the community response has been incredible.” Some folks have a lot to share. “We do sort of have a core of regulars; teir sort of our core cast who seem to love to be involved as often as possible and that's wonderful. But we always encourage new people, of course.